Formerly known as the Coinbase Exchange, GDAX (Global Digital Asset Exchange, rebranded in 2016) is an online cryptocurrency exchange owned by Coinbase, Inc., which is based out of San Francisco. The exchange is available to residents of the United States, the United Kingdom, Singapore, Australia, Canada, and European countries. GDAX, like the Coinbase app, is known for being user-friendly. There is no mobile application for the exchange, but the website is mobile-responsive. 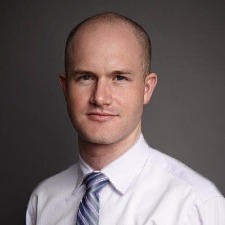 That being said, Coinbase has gained a reputation within the cryptocurrency community for having poor customer service and support. Bitcoin, Ethereum, and Litecoin are the only coins that can be bought and sold on GDAX; compatible fiat currencies are currently limited to the USD, the GBP, and the Euro. GDAX is a FDIC-insured exchange. 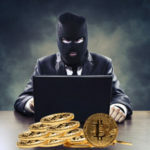 This means that in the event of hacking or something else that would compromise user funds, each user is entitled to up to US$250,000 in compensation. There are a few high-profile investors backing GDAX, including the New York Stock Exchange, Andreessen Horowitz, and Union Square Ventures, among others. 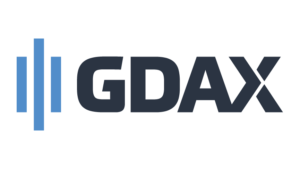 GDAX has a trading API that allows developers to develop secure trading bots. GDAX is also known for having low fees, which will be discussed later in this post. GDAX’s parent company, Coinbase, was founded in 2012 by Fred Ehrsam and Brian Armstrong in San Francisco, California. Coinbase is a company that deals in digital assets, probably best known for its application-based mobile and online cryptocurrency wallet. The Coinbase wallet allows users to buy, sell, and store Bitcoin, Ethereum, and Litecoin. The Coinbase Exchange was officially rebranded as GDAX in May of 2016, and has maintained a fairly stable existence since then, mostly free of hacking attacks and other technical problems. The big exception to this happened in April of 2017, when an error caused the price of BTC/USD to momentarily drop by 99.9%. This allowed buyers a brief opportunity to purchase Bitcoins at US$0.06 before they returned to their regular price. If you are a US resident and wish to become a registered user on GDAX, you must provide two kinds of identification that prove your residence. These can include a photo of a state ID card or driver’s license, your social security number, or your residential address. Passports are not considered to be an acceptable form of ID because they do not list your place of residence. For residents of Singapore, Canada, Australia, and European countries registering as GDAX users, you must provide two of the following: a photo of an ID card, a driver’s license, or a passport. If you are a legal resident of the UK, you can provide a photo of an ID card, a driver’s license, or a passport. Additionally, you must answer some questions about your identity. If you are already a user of Coinbase (GDAX’s parent company), you do not have to create a new account to use GDAX. If you are registering on behalf of any kind of legal entity (ie a corporation), the process is a bit more intensive. You must upload the entity’s articles of incorporation (or other formational documents). US-based entities must include an IRS letter that contains the entity’s EIN (Employer Identification Number); entities based outside of the United States must provide documentation of their tax ID numbers. Additionally, a primary contact must be specified for an institutional account. The primary contact must upload an approved photo ID, and should be someone who has legal authority to act on behalf of the entity. Other information that must be provided when registering for an institutional account includes the entity’s physical address, the entity’s legal business name, and the entity’s DBA (“doing business as”) name. Buyers on any stock or crypto exchange are split up into two groups: makers and takers. If place a limit order (an order that requires a specific price and amount to be met in order to be executed) that will sit on the exchange until it is filled, you are a maker. Makers provide liquidity to an exchange. If you place a market order (an order that will be executed immediately with current market prices) or a limit order that satisfies another limit order that already exists, you are a taker. Takers reduce liquidity. GDAX is renowned for its low fees–maker fees are 0%, and taker fees are 0.25%. Taker fees can drop as low as 0.1% for users who trade more than roughly 42,297 BTC over 30 days. Additionally, takers earn a daily 0.01% rebate. There are no fees for depositing or withdrawing from GDAX. However, if you are using a wire transfer from a bank to deposit fiat onto GDAX, your bank may charge you fees. In addition to regular market orders (orders that are executed immediately at current market valuations), GDAX offers users several different kinds of limit orders. A “Post Only” order is an order that will only be filled as a maker order. This means that if there is an opportunity to fulfill the order, but fulfilling it means that the order will reduce liquidity instead of providing it, the order will not be filled. This is to avoid paying taker fees. A “Fill or Kill” (FOC) order is only completed when the entire amount listed in the order can be matched. A “Good ‘Til Cancelled” (GTC) order will remain on the books until it is either fulfilled or cancelled. An “Immediate or Cancel” (IOC) order will be cancelled if it is not immediately fulfilled. In addition to being FDIC-insured, GDAX regularly undergoes both financial audits and audits of their security systems. According to their website, “99% of customer digital assets are stored offline” in cold storage. This makes the assets less vulnerable to hacking attacks. GDAX uses two-factor authentication for user logins, and all email communication with GDAX is PGP-encrypted. Users also have the option of enabling SMS or email alerts for logins. GDAX, similar to its parent company, Coinbase, has gained a reputation for having less-than-stellar customer service and support. Users have reported that getting a useful response from GDAX’s customer service team can take as long as five business days, although the first response from the customer service team usually comes within 48 hours. To ask for assistance on GDAX, users can submit a ticket and use email support. As a user-friendly, FDIC-insured exchange with low fees, GDAX seems to be on the road to success. However, they must improve their customer support in order to keep their users’ loyalty.